Elena and Damon. Re-posted with permission. 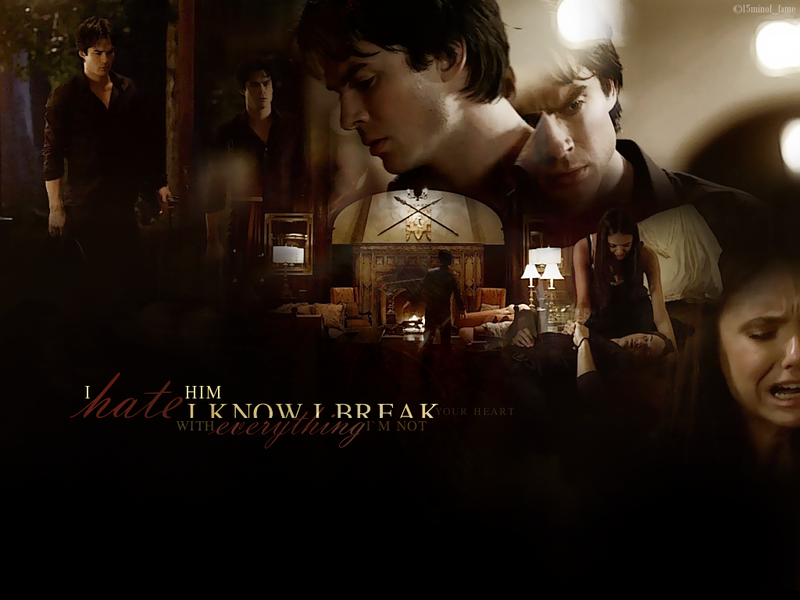 HD Wallpaper and background images in the Damon & Elena club tagged: elena gilbert damon salvatore nina dobrev ian somerhalder the vampire diaries delena fanart wallpaper. 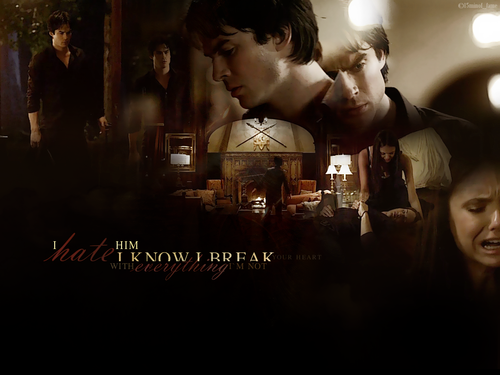 This Damon & Elena wallpaper might contain चोली, ब्रासेरी, भोजन करनेवाला, and डिनर.